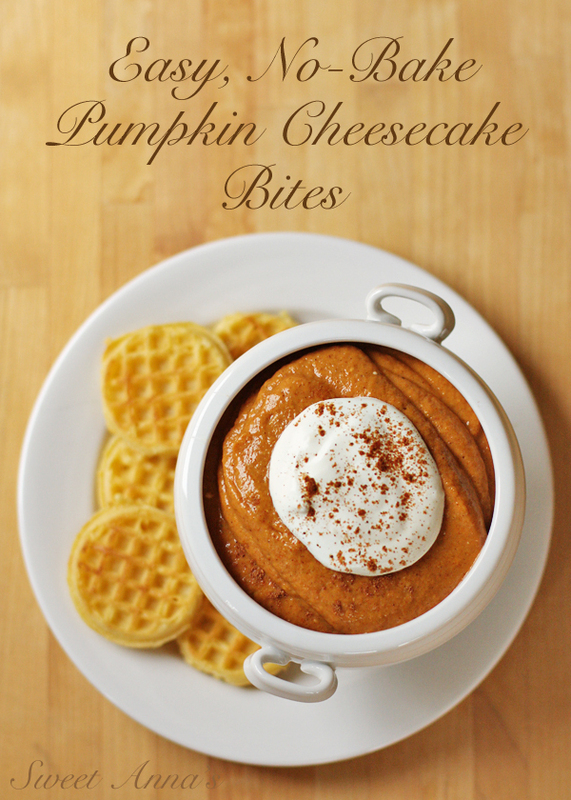 Creamy, rich, tangy, no-bake Pumpkin Cheesecake Dip is piped onto sweet little toasted waffles for a fun, easy, holiday dessert! I don’t know about you, but I am always looking for new (easy to fit into the chaos) desserts for Thanksgiving dinner. Yes, classic pumpkin pie always makes an appearance, but I won’t lie… I buy my pumpkin pie at the store. It’s just too easy and cheap to buy. I save my Thanksgiving desserts energy for more creative and fun things. I like to change things up and push people’s holiday tastes and memories outside of the norm. 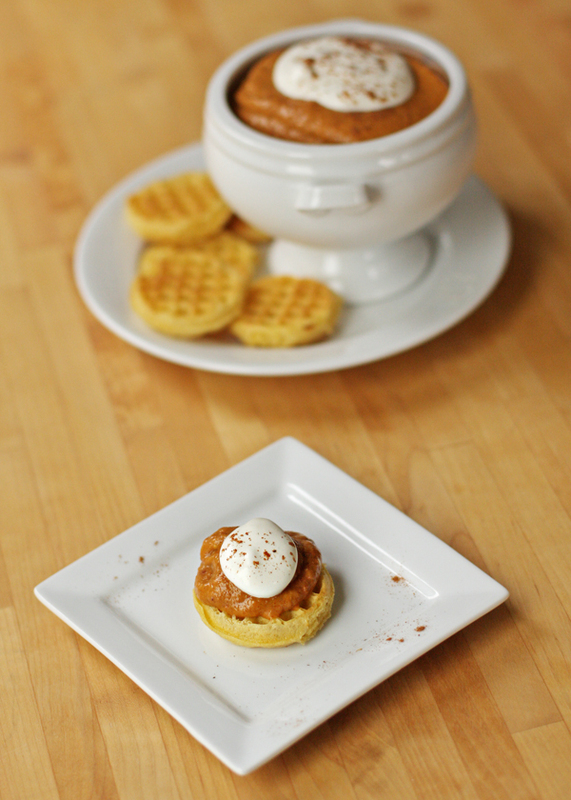 So, I have made this pumpkin cheesecake dip many times before, but I decided to take it a step further and make it a fancy little 2-bite dessert, using cute little toasted Eggo mini-waffles as a crust. Super cute and easy to throw together… And yay for something new on the holiday table! What are your favorite desserts for Thanksgiving? Do you always make/serve/eat the same things? Or do you like to change things up each year?? In a large mixer bowl, cream together everything except the waffles until light and fluffy (using the paddle attachment). Spoon this mixture into a gallon ziploc bag and chill for at least 2 hours, or up to 2 days, taking it out about 30 minutes before you are ready to serve it. When it's almost time to serve the cheesecakes, toast the mini-waffles, well done. Separate them and place them on a serving tray. Cut off one corner of the ziploc bag of cheesecake and pipe a generous dollop onto each waffle. Sprinkle additional pumpkin pie spice or cinnamon over the top, for garnish, and serve! If you’d rather not do the piping, you can just serve this as dip with toasted mini Eggo waffles, graham crackers and gingersnap cookies on the side! Go check out the “Great Waffle-Off” on Eggo’s Facebook page to submit your own waffle-creations for the chance to win some fabulous prizes! I was really excited about this challenge to come up with non-breakfast (as in: not just butter and syrup) uses for our favorite freezer waffles. Actually I kind of love a challenge of any kind, but my family’s obsession with Eggo waffles made this one extra fun. Yep! And,of course, my first thought was some kind of waffle stuffing, but that just seemed too… I don’t know. Too much work I guess. Then this salad idea popped into my head and oh my word is it good. The funny thing is, I don’t really remember serving or eating salad at any Thanksgiving dinners. Oh, I know they must have been there, but I never got around to them. I plan on changing that ‘salad-is-second-rate’ mindset with this one. The combination of a maple vinaigrette with the buttery, toasted waffle croutons, toasted almonds and dried cranberries is just so much fun. 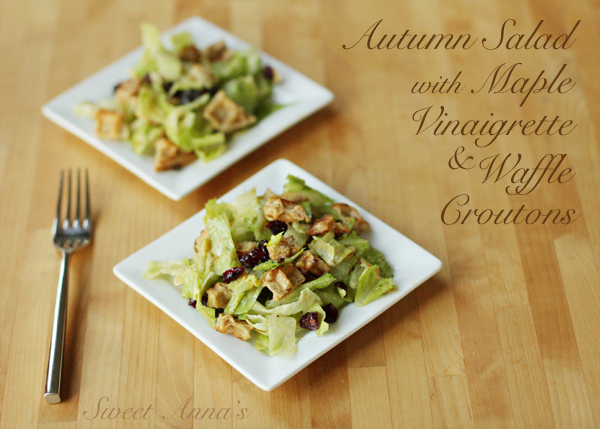 The waffle croutons are the perfect balance of crunchy and chewy and the dried cranberries are such a great complement to the tangy maple dressing. 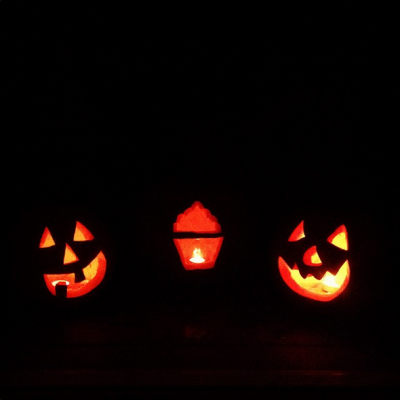 You know how every year you carve pumpkins and throw away all that orange gloppy mess full of seeds out of the insides? It just takes a few minutes to sort through the insides to get out all the seeds, and it is so worth it! 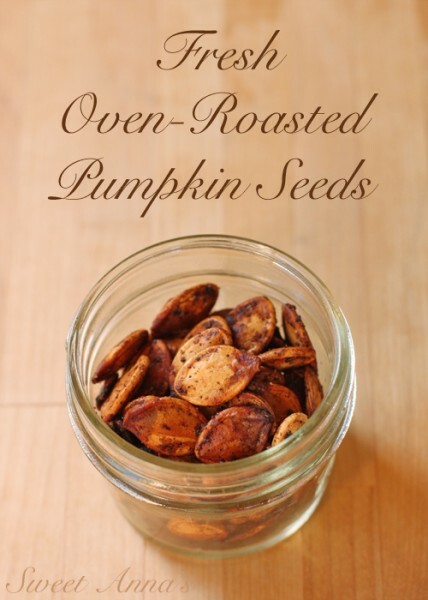 I have so many fun memories of carving pumpkins growing up, but I have to tell you, the highlight every single year was snacking on the seeds that my mom roasted while we carved our pumpkins. They were just so good. Lots of butter, a good hit of seasoned salt or salt & pepper, and you’ve got one of my all-time favorite fall treats.